It’s true, the original recipe for Coca-Cola included cocaine as a pick-me-up. But where did the “up” in 7 UP come from? Not cocaine, but lithium citrate. Before being shortened to just 7 UP, its full name was Bib-Label Lithiated Lemon-Lime Soda. It was marketed as being a mood-stabilizing beverage and conveniently, the timing of its launch was just right – two weeks prior to the stock market crash of 1929. After that, people definitely wanted some mood stabilizing! It propelled Charles Leiper Grigg’s invention to become one of the bestselling beverages of all time. Apparently… somehow… all of that sugar is supposed to be “slenderizing” and help hangovers, too. For the low down on the scandalous history behind 7 UP, Coke, and others, see Fizz: How Soda Shook Up the World. 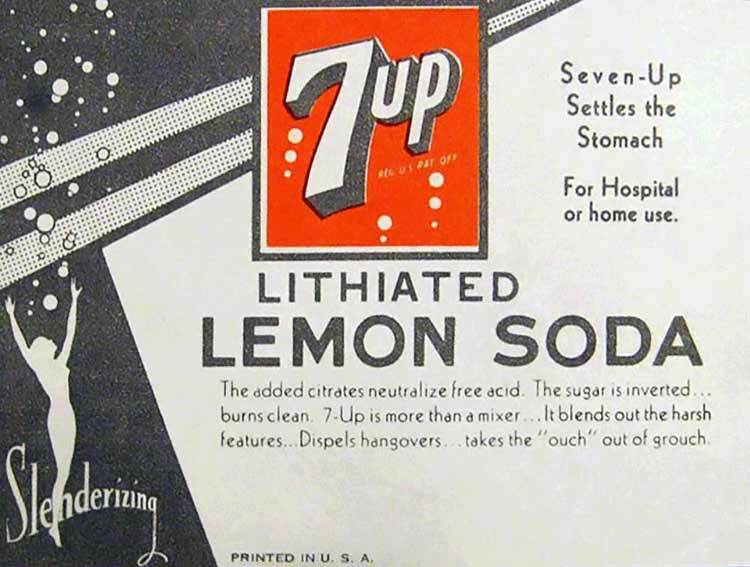 By 1948, lithium citrate was banned and ever since then, 7 UP has been without it. However the reason it was banned was not because of the purported mood boosting benefit. 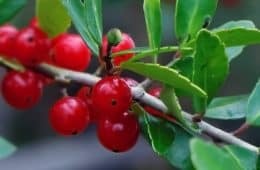 It was because people were using it as a salt substitute on food, in hopes of combating cardiovascular disease. That’s actually what doctors were advising back then. You see on a molecular basis, lithium is almost the same as sodium. Both have the same number of electrons. But the subbing of salt with lithium on food led to other health problems – major kidney and thyroid dysfunction. Hence, its use was banned in food and beverages and that meant the 7 Up recipe had to be changed. Today it’s not lithium citrate, but rather lithium carbonate that’s used for a class of prescription drugs known as antimanic agents. The first was approved by the FDA in 1970. As with almost all psychiatric medications, scientists can’t say precisely how it works. 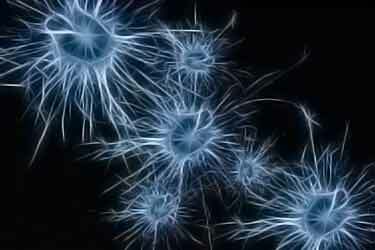 Those mental health conditions also correlate with lower levels of GABA (gamma-aminobutyric acid). Those are the best guesses of how it works. But how about people without bipolar disorder or mental health issues? 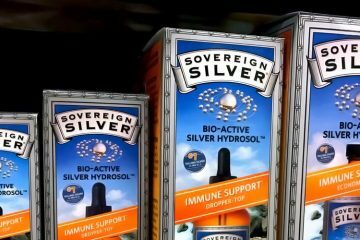 Might different forms of this trace mineral benefit human health as a dietary supplement? 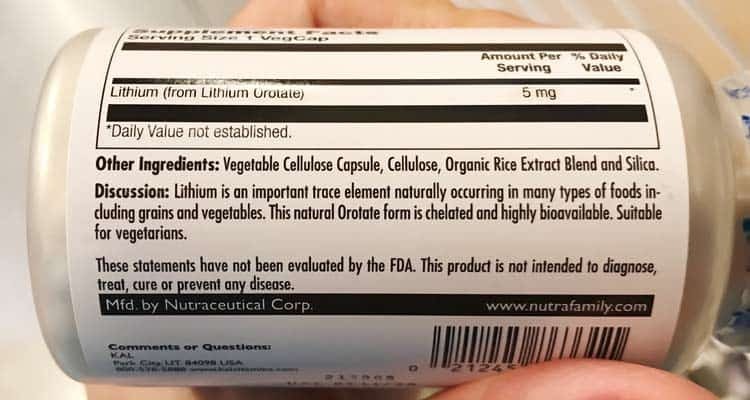 To be clear, as a dietary supplement, no health benefits of lithium have been proven. It should not be used to treat, cure, or prevent any disease. 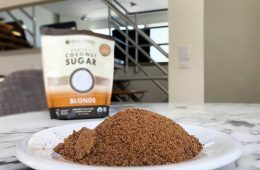 Many are calling this mineral the next big nootropic (brain supplement) and using a low dose daily in addition to their multivitamin (since none contain it). Not because of low GABA levels or for boosting grey matter, but rather based on the theory that it might be an important trace mineral. A mineral that the modern diet of filtered water and processed food contains less of. 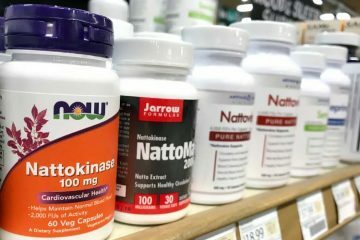 Some supplements combine it with other purported “feel good” ingredients, like 5-HTP (5-hydroxytryptophan), bacopa, and DHEA. Lithium orotate is used as dietary supplement only. Lithium is combined with the mineral salts of orotic acid (orotates) instead of carbonate ions (which is lithium carbonate). In other forms, orotates are naturally found in living organisms. Some believe they act as electrolyte carriers for distributing minerals – such as lithium – throughout the body, but that remains theoretical and unproven. Foods high in lithium orotate? No, or more accurately stated, it has never been proven to offer benefits for general health or any condition. Its safety is also unknown. 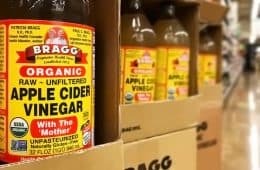 The controversial German scientist Dr. Hans Alfred Nieper patented it in the 1970’s and believed it might be effective in the treatment of depression, alcoholism, epilepsy, migraines, and recurring headaches. None of those have been validated. In the PubMed database of nearly 30 million medical literature citations, you will only find 9 mentions of this compound. Only 2 out of those 9 are lithium orotate studies involving humans. The only other human study which evaluated benefits was published in 1986. Though a more accurate description would be to call it a collection of case studies, since their treatments were not concurrent and each person had a gamut of different medical issues. That makes comparing them nearly impossible. 42 alcoholic patients were included (33 men and 9 women). In addition to alcoholism, it was noted that some suffered from seizures, hyperthyroidism, headaches, liver cancer, and lung cancer. Monitoring of these patients ranged from 6 months to 10 years. 150 mg daily of a lithium orotate dosage was used by these patients for varying lengths of time. 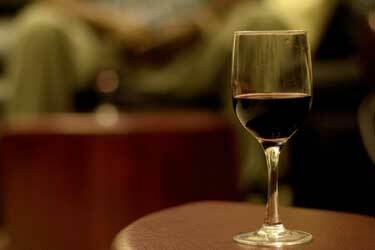 12 patients had no relapse in drinking for 6 to 12 months. 13 went for 1 to 3 years. 10 went for 3 to 10 years. With no placebo group, no blinding of treatment or results, and the fact that it was actually a collection of case reports makes it an interesting read, but not anything more. That’s the only published data related to alcohol and clearly, it’s far from being proof. So how about all the other things that user reviews and testimonials mention using the supplement for. Is lithium orotate good for depression, migraine headaches, and insomnia as some people allege? Though to be clear, all of those medical uses involve the prescription lithium carbonate in some form (e.g. Lithane and Lithobid). Doctors are not using lithium orotate for depression, PTSD, ADHD, OCD, better sleep, quitting smoking, or any of the other things you may read about on blogs and forums. The idea of switching from lithium carbonate to lithium orotate for bipolar disorder or any other mental health condition would be extremely dangerous. The former has been used for nearly five decades as a well-researched medical treatment. The latter – the orotate form – has never been used medically. How long does lithium orotate take to work? No one would even be able to answer that question. Its half-life and what it does in the human body is unknown. Even if it were to cross the blood brain barrier (unproven), you still would not know how quickly does it work (absorption rate) and how much lithium orotate should I take, because bioavailability is unknown. They also claimed that at the 24 hour mark, the lithium levels in the brain were around 3x higher on the rats given the orotate versus those on the carbonate. In other words, the reason more was detectable in the blood was because the kidneys of the rats were temporarily failing! 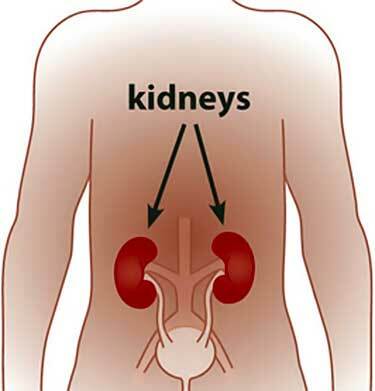 It may just be a rat study, but it’s still evidence of this form being bad for kidneys. Possibly much worse than other forms of lithium. With no human clinical trials, the risk of adverse reactions is unknown. The following are based on experiences shared by orotate supplement users and the known side effects from non-orotate lithium. The lesson? If used, it should only be taken as a dietary supplement and the amount used should not exceed the label’s instructions. Some of the possible side effects may actually be viewed as a benefit, depending on the circumstance. As long as you aren’t too horny, a libido boost may be good for you and your partner. Anxiety is when you care and think too much about something. 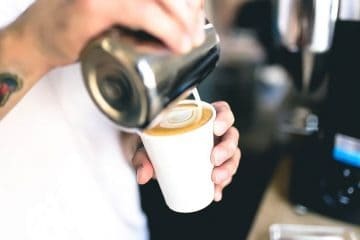 The opposite of that – lethargy – may be the pendulum swung too far in the opposite direction, but caring somewhat less could be beneficial in reducing anxiety and stress. Taking lithium orotate morning or night may dictate whether it helps you sleep when needed – or – if it causes unwanted drowsiness during waking hours. By taking it late in the day, some uses claim it helps their insomnia. There’s no question that in high enough doses, all forms of lithium can harm your kidneys. Symptoms of abnormal kidney function can include frequent urination, getting up during the night to urinate, dry mouth (plus excess thirst which goes along with that), and electrolyte imbalance which can cause you to feel tired or fatigued. Again, without any clinical data on the supplement, the best clue we have is to look at what happens with the prescription carbonate. Symptoms may include fatigue, weight gain, and thinning hair, among others. Does lithium orotate cause weight gain? That’s unknown, but what can be said is that with the medical use of the high dose carbonate form, some studies have reported that 20% of patients gain over 10 kg (22 lbs). Can lithium orotate cause hair loss? No one can say one way or another, but alopecia is a confirmed side effect of the carbonate form. 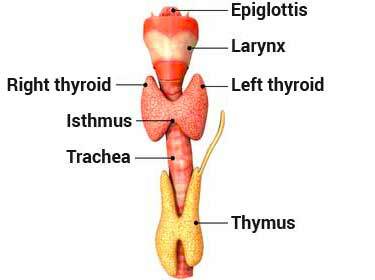 During first 6 months, renal and thyroid function checked once or twice. After that, routine testing every 6 to 12 months in stable patients. Patients weight must also be checked after the first 6 months and on an annual basis. How much lithium is there in supplements? Now to be clear, lithium orotate is NOT a medication and should NOT be used for bipolar or any other condition/disease. The following is NOT meant to offer a conversion/comparison of these two very different things, but rather to show how much of the actual elemental mineral is found inside dietary supplements. As you see, the ingredients on each label are confusing. Some go by the total amount, while others notate the amount of elemental lithium. There’s 3.83 mg of elemental lithium per 100 mg of lithium orotate (about 4%). There’s 18.8 mg of elemental lithium per 100 mg of lithium carbonate (about 19%). If those numbers are accurate, it means almost all of those supplements should have around 4 to 5 mg of actual lithium. The 20 mg listed for Vital Nutrients might be an outlier since they don’t specify what that number corresponds to. That’s good news in that it should be a very low amount of elemental lithium per dietary supplement. You can’t say lithium orotate is safe in this micro dose, but the odds of it being dangerous should be minimal (in theory) if only 1 tablet/capsule is used per day, as per the manufacturers’ instructions. But remember, no one knows how it is metabolized! When something is mutagenic, that means it causes your cells’ DNA to mutate. Cancer comes from mutations. Now to be clear, not all mutagenic agents are officially considered to be cancer causing (carcinogens). In order to get that label, extensive research must be done to prove that the amount of mutations caused is enough to increase the risk of cancer in a statistically significant way. Even if something does not get the carcinogen classification, DNA mutations are never good for you. 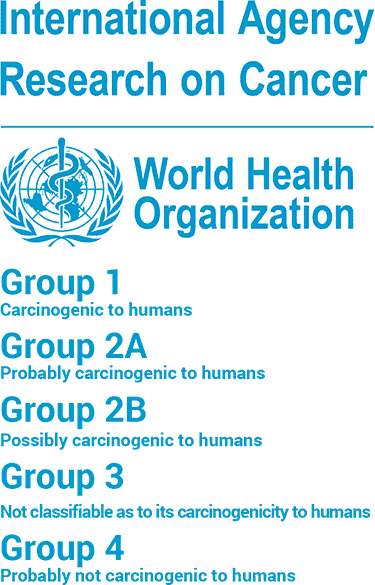 Proving higher cancer risk requires extensive animal and/or human studies before any government or international bodies, like the World Health Organization, will classify something as being a carcinogen. In humans, tumors take years and sometimes even decades to form (brain cancer takes up to 30 years). So as you can imagine, trying to answer the question is never easy. Do cell phones cause cancer is still something unknown, but the case against them continues to build. That conclusion is based on the isolated element, occupational exposure, and the form commonly consumed by humans for bipolar treatment; lithium carbonate. When bonded with orotic acid, it may be a different story. Although humans have not been tested, orotic acid has been found to be mutagenic to the cells of other mammals and even bacteria. In grilled and charred meats, the amount of HCAs – like PhIP which is a Group 2B carcinogen – are less than 1% even that’s considered bad for you. 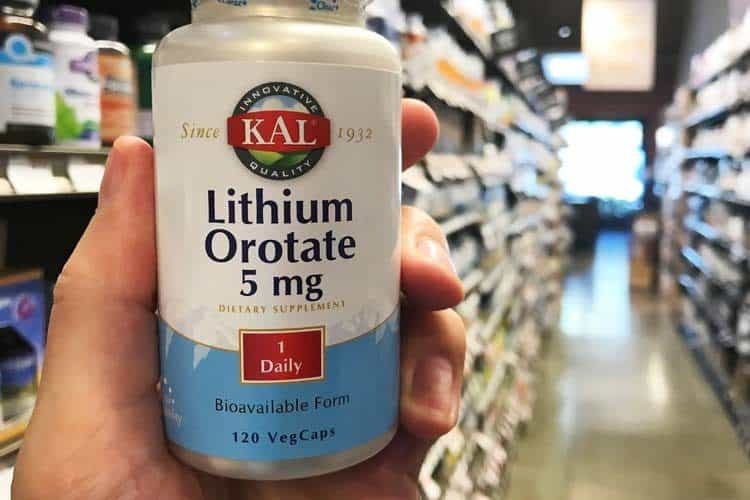 In these lithium supplements, the orotate portion is a whopping 96% of the compound, since there is 3.83 mg of lithium per 100 mg. Taking a supplement containing a mutagenic substance is the opposite of health promoting! Those wishing to take a dietary supplement of this trace mineral do have another option… the apartate version. 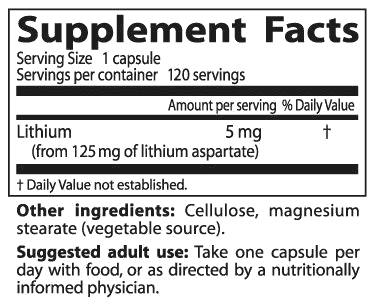 What is the difference between lithium orotate and lithium aspartate? The former is made with orotic acid, while the latter uses aspartic acid, which is an amino acid (protein). Its name comes from the 1827 discovery of it in asparagus juice. The aspartate acts as an ion carrier for the lithium. This is the supplement facts label for Doctor’s Best brand, showing how the elemental mineral represents 4%. They have discontinued this product due to lack of demand. Very few brands today sell it because orotate is believed to be best, even though it has no proven advantages. Both of these forms are sold over the counter without a prescription because they are only for use as dietary supplements. Both contain approximately 4% of the mineral, with the rest being the ion carrier. 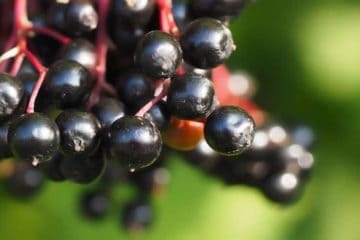 While there are no special health benefits of lithium aspartate, the same holds true with side effects – there is no evidence of it being mutagenic like orotic acid is. For this reason, aspartate appears to be the best supplement type, or at least it’s better than orotate. Finding where to buy lithium orotate or aspartate can be a challenge, because so few people take this trace mineral. The brands that make the aspartate version are Solaray, Swanson, BioTech Pharmacal, and American Biologics. Most of those brands are not even sold at brick and mortar retailers, with the exception of Solaray. Even if a given store sells Solaray, they may not bother to carry this niche product. Even if you can find them, capsules or tablets of the orotate version seem like a bad idea. On Amazon you can get the aspartate version from Solaray in 5 mg and BioTech Pharmacal in 20 mg. As a reminder, those are dietary lithium supplements only. They should not be used for any disease/condition. Consulting your doctor beforehand is always recommended before using any type of supplement. The fact that so many people have taken it effectively over many many years even in high doses including myself says it has been tested in effect but not recorded. I have had many medications for bipolar depression and mood stabilization and the ONLY one that worked at all was wellbutrin, none of the sri’s did any good but had side effects, and others did no good either. 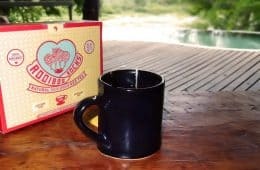 The orotate of which i take 10 mga day has been a miracle, the depression just washed away leaving me feeling peaceful and content,. I sleep very well now and was a lifelong insomniac. 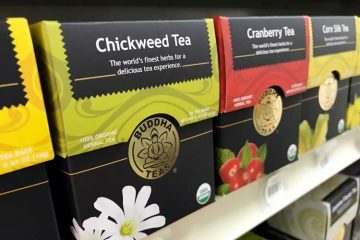 Do not have stomach trouble or sleepiness at all, pee normally, have no hair loss or weight gain. I think orotate possibly for most depressives the only effective and comparatively less harmful antidepressant is being kept secret by pharmaceuticals as its commercially non viable with the blind acceptance of doctors who don’t even know why its isn’t accepted. Its soul destroying seeing people (on tele etc) who present with depression prescribed harmful or useless drugs, with reassurance they will help. Many of these patients are suicidal and yet the orotate may destroy that feeling totally- and what do they get. One of the many drugs produced by and earning a great deal by pharmaceuticals which can in one way or another make you feel rotten and dead, in my experience knocking out the good feelings with the bad, so there is nothing. Can you say that the huge amount of fat gained by people on carbonate and the other atid’s is not dangerous and life threatening- vis diabetes heart attacks, i don’t know one person on them Who hasn’t become obese. Poor patients is all I can say fancy depriving them of the chance of a life. Great article, thank you for the read. I take 5mg of lithium orotate every night and its worked wonders for my sleep and mood stability. I’ll stick with it as I’ve seen and felt nothing but positive effects. This review is written by a nameless. How can we trust it? Obviously, they did not bother to investigate the mountain of reports and results from alternative medicine doctors that have used lithium orotate for 20 – 30 years to treat many diseases successfully without any negative side effects. Read up on this use by Dr Jonathan Wright of the Tahoma Clinic, Dr Mercola, and many others. No studies are published (of course not) as no funding is ever provided for something that cannot make money!!! That does not negate the results of many years’ effective use to treat many illnesses. Anything can have negative effects if used in very high dosages. Like the article said – even water. Lithium orotate is always prescribed by alternative doctors in small dosages – 5- 20 mg per day and taking flaxseed oil and vitamin E with it further eliminates the side effects. I am NOT an expert BUT I can read!! Do not blindly believe everything you read on the internet. Do you own investigation and read up. This is merely my opinion, however many of the side effects of taking lithium orotate are the same as being insulin resistant which a lot of people are not even aware they have until they become diabetic and have to go onto diabetes meds. I’m diabetic, but suspect that I was insulin resistant for many many years before and I recognize many of the side effects in myself and I’ve never taken lithium oratate..
Lithium orotate is harmless taken in moderate amounts. I don’t know why you are sharing your opinion. Can you share with me what side effects you are talking about? Lithium Orotate is the most bioavailable form of lithium available. Not tested? Let’s get something straight, Lithium Orotate is natural. The only version that has all these “tests” behind it is lithium aspartate and it’s NOT natural. It does NOT absorb well into your body and that’s why doctors have to prescribe such an unhealthy high amount to get it to push in. At that point, it’s at dangerous levels for your kidneys. There is no danger associated with Lithium Orotate because you don’t need that to take that much for it be effective. Oh but the pharmaceutical industry will say “its not tested”. Again, the only reason it isn’t is because NATURAL PRODUCTS CANNOT BE PATTENTED. Pharma has no reason to ‘test’ and all the reason in the world to steer you clear of this amazing supplement. I started taking Lithium Orate about a month ago. I started with 5 mg. I noticed my mood swings decreased dramatically. I noticed some side effects with this dosage. I decided to take half dosage. (2.5 mg.). This amount seems to work best for me to take on a daily basis. I have seizures and have been on every drug available. Too embarrassed to share these mood swings with anyone. These mood swings causes most of my seizures. I’ve been seizure free since I started taking lithium orate. I’m more upbeat, enjoying things like I did in my teens. I’d recommend everyone to at least try it for a couple of weeks. Lithium Orate is not expensive. Sixty pills set me back $5.00. Since I’m on borrowed time for over a half a century on earth, taking some small risks with supplements is not a big deal. I had bacterial meningitis when I was 18 months old. It was not diagnosed for a month. How I lived thru it is a miracle as told to me by the Neurologist that I’ve seen over the years. Take the small risk that’s involved taking Lithium Orate. I hope others that read this are inspired by my journey I’m on. You can not, I repeat can not find lithium orotate in the ground! 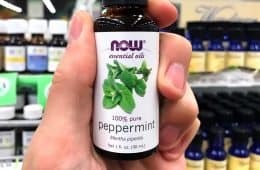 It is a compound supplement and therefore does not make it “natural”. Doubly annoyed, it is i repeat is a natural ingredient in water anf IS therefore natural . The lithium ion is a natural ingredient of groundwater, lithium orotate is synthetic. there is no such thing as lithium orotate in drinking water. There are lithium ions in drinking water, true, but the orotate is artificial. Lithium chloride would be an example of a natural salt. I find lithium orotate helpful in treating my ptsd, currently taking 15 mg elemental lithium, looking if I am going to increase. I have a question. I had bought a bottle of lithium orotate (5mg) but it is only in a form of a capsule. When I took the whole one, I suffered many side effects that went on for days. Is it safe to open the capsule and dose the powder to a reasonable, smaller, dosage? Excuse me if the question is stupid, but this is my first time to buy LO, and consequently have an urge to open a capsule, haha. You are probably having side effects because LO is a very good heavy metal detoxifier and it can get into your brain too (obviously) so it is probably stripping out all of the mercury etc out of your body. We get heavy metals in our system on a constant basis from burning fossil fuels etc but dental amalgams are the worst for this. Maybe drop your doses you can buy tablets of this and get a pill cutter and when your detox symptoms are more bearable you can up your dosage. No it’s not. I wanted about a 3mg dose so I emptied half a 5mg capsule. This article seems to be very slanted, negatively, toward LO. Whenever I see this I question the viability of the article and the intent of the writer. Many people have had success with LO but the writer only seems to be concerned about the fact that big time expensive drug studies haven’t been done on it. I came way from the article feeling cheated. BTW, I’ve been taking LO and it helps my depression. 1) Li2CO3 (lithium carbonate) is the prescription variety used for BPD. Li2CO3 IS natural, and might be reasonably safe if not for the high doses typically prescribed. However, that is irrelevant given that we can’t buy it as an OTC supplement. 2) The author didn’t suggest getting a scrip for high dose Li2CO3. Even if that were the case, “Big Pharma” doesn’t send fat checks to people for promoting old, cheap drugs that are well past patent (if drug patents even existed when Li2CO3 or penicillin came into use). 3) Unlike Li2CO3, lithium orotate supplements are synthetic. That’s not a reason to stop taking orotate if it works for you. However, the research suggesting it is a potential carcinogen is something to factor into your lithium orotate cost/benefit analysis. It’s up to you as an individual to decide how compelling you find the study. 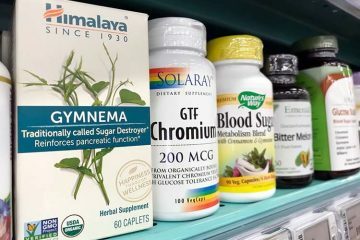 4) For those that find the study alarming, this article suggests an alternative OTC supplement (lithium aspartate) without favoring a specific brand. Even if one believes the studies were flawed, why get mad if someone else just feels better taking the aspartate route? I think most adults would agree this article was informative and balanced. Well said Gwen! Very balanced and informative article, especially considering the lack of research avaliable. A lot of work and careful consideration went into that article and it shows. There are quite a few nutrients that have studies saying they are potential carcinogens, i.e. folic acid, carnitine, etc., etc. Maybe orotates are, maybe they aren’t. To me it is very speculative, because these studies don’t factor in complex correlations in the human body. 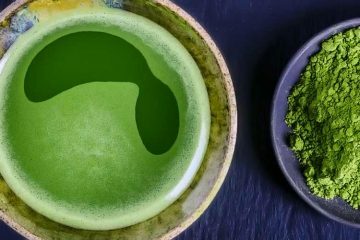 Plus, a nutrient can be good such as iron or copper, yet be a free radical catalyst and cancer promoter when levels are high or in the wrong place or form. 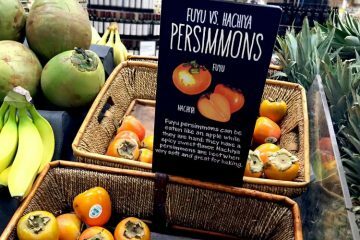 Vitamin C can be an anti-oxidant, or can act like an oxidant in high doses. As such, I wouldn’t throw the orotate baby out with the bath water just yet. Three years after starting Lithium 5 mg. per day I had a cluster of two migraines. Prior to that I was having 3 clusters of 3 to 5 migraines a year and one was a double. I have migraine auras with the visual distortion, fatigue and nausea but no headache, very bad if you are driving. They last 20 minutes to half an hour. Four years after the last bout I have had none since. My mood is better. I recently read that as little as .5 mg. per day may prevent Alzheimer’s disease. Wikipedia says the US suicide rate increased by 24% between 1999 and 2014. CBS News 8/16/2017; “Antidepressant use soars by 65% in 15 years.” Could antidepressant drugs be the cause of the increase in suicides? According to time.com Global revenue for antidepressant drugs will reach $17 billion by 2020. Lithium is far cheaper and much safer. I suspect Big Pharma cares for big money more than it cares for people. I am a 74 year old male. My last annual physical was spent trying to assess how far down my mental condition was. I was tested verbally by the doctor and given a sleep study. This was my third sleep study in five years. Life is not fun. The doctor sensed that I was mentally failing and needed a test to gauge mental health. I do yoga, walking, cleaning, and weekly church etc. Nothing has worked. I read a short article at the library on alternative methods to increase memory. This pointed the way towards Lithium Orotate. I tried 5 mg and felt better. I tried it twice a day and felt better still. I started walking more. I started sleeping more. I lost weight. I became more open , friendlier. I slept more. I started taking 5 mg 3 times a day. I became pleasant. I now lost weight and bought new clothes. I walked more. I was reading more. I was no longer just interested in sitting or waiting to die. I take Lithium orotate 4 times a day. I drink 2 small glasses of wine. I look better because I exercise . I feel better because now I sleep 7 and half hours a night. Thank you Tom. This is a very useful review. I have read that orotic acid is found in milk and in animals, and have also read that we either have or produce some in our bodies, look it up. The European Food Safety Authority reviewed the use of Orotic Acid in nutritional mineral supplements and found that there were safety concerns. Some of the compounds under review would have introduced high doses of orotic acid. Overall they concluded that a level above 50 mg per Kg of body weight per day was the point at which safety concerns should be meaningful. But they did not conclude that that in itself was a safe level, only that statistically significant observable negative impacts began at and above that level in the limited number of studies available. The studies themselves were limited in scope and in time duration. I suppose one could say that is a level above which safety concerns become clear (but not certain). But that does not mean that being below that level is “safe”. The margin of safety increases as the exposure level falls, but they noted that differences among people could add an additional level of variation and concern (in some people there are liver impacts while in other these aren’t present, apparently). So among people there can be a different level of “sensitivity” because of genetic differences with regard to how ortic acid is broken down and removed. That is what I took away from the article. Someone else may reach a different conclusion – I am not a research scientist or a nutritionist of a doctor of any sort. This is just my understanding. They did point out that orotic acid was found in cow’s milk, but at levels far above what is found in human’s milk. The article seemed to imply that the high level was not “natural” but may have been the result of certain domestication and breeding factors, as well as factors related to the level of activity allowed to the cows. So in a way they also pointed to cows milk as being potentially harmful, as it too could add orotic acid to our diet. And maybe if you are consuming orotic acid in a supplement you may want to reduce or eliminate other sources. Just some thoughts. The study does seem to bolster the general concerns of the author here. amounts of 20-100 mg/L are found and somewhat higher amounts in goat’s and sheep’s milk. reflecting the range of cow’s milk. 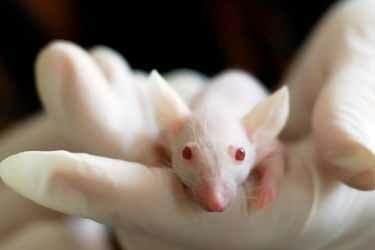 developmental toxicity and only irrelevant data on genotoxicity. Level is 100 mg/kg bw/day. spontaneously arising and/or diet induced altered cells. In a recent study (2008) done at the National Institute of Health that found Lithium Orotate to be effective in treating bipolar and natural therapies. They also found other supplementation such as Omega 3 to be helpful. CONCLUSION FROM NIH: Here we have shown just a few of the many documented nutritional therapies that can be utilized when treating mental disorders. Many of these studies were done in the 1970s and 1980s, but were soon discontinued because they were underfunded. Nutritional therapies have now become a long-forgotten method of treatment, because they were of no interest to pharmaceutical companies that could not patent or own them. Instead, the companies that funded most clinical research spent their dollars investigating synthetic drugs they could patent and sell; these drugs however usually caused adverse side effects. There is tremendous resistance to using supplements as treatments from clinicians, mostly due to their lack of knowledge on the subject. Others rather use prescription drugs that the drug companies and the FDA researches, monitors and recalls if necessary. However, for some patients, prescription drugs do not have the efficacy of nutritional supplements and they sometimes have far more dangerous side effects. So for clinicians to avoid these supplement therapies because of a lack of knowledge and unwillingness to use treatments not backed by drug companies and the FDA, they are compromising their patients’ recovery due to their own laziness or selfishness. Clinical studies that show the ability of a prescription drug to effectively treat mental disorders will often argue that supplements as treatments, when unmonitored, are more risky than prescription drugs and may ineffectively treat a patient’s symptoms. For example one study listed several methods of treatment, none of which include natural compounds, for OCD patients that include: megadoses of SSRIs, intravenous chlomipramine, oral morphine, deep brain stimulation, and functional neurosurgery . Most of these treatments are invasive or unnatural and will inevitably cause severe side effects to the patient, whose symptoms will probably still reoccur over time. Another example of the literature scaring clinicians away from supplement therapies is an article that warns patients about the dangers of consuming high amounts of omega-3 fatty acids. This manuscript involves a patient who was taking approximately 10 times more than the recommended dose of omega-3 supplements . Numerous studies have shown that up 2 grams of EPA (omega-3 fatty acid) taken daily is sufficient for decreasing symptoms of several mental health disorders with no side effects. This publication with a megadose of omega-3 fatty acids stresses the importance of monitoring the consumption of supplements as well as prescribed drugs, preferably through regular consultations with a licensed health care professional. Proper medical diagnosis and a clear description of all possible treatment options should always be the first plan of action when treating mental disorders. However, the final decision on whether or not to try nutritional supplements as a treatment must be based on the patient preferences. 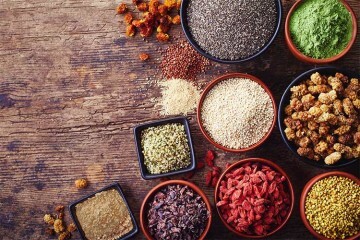 Now with consumers becoming more interested in natural and holistic therapies, nutritional therapies have been well-received, and some studies are again underway in these areas. New well-designed clinical studies are being published daily on the positive effects of nutritional and supplement therapies on all types of disorders and diseases. It will take some time for clinicians to become educated on all the options available, but this is an important task that should not be ignored. Those with influence in this field should continue to examine natural treatments on the scientific level in order to increase the availability of grant money for this type of research. This will lead to a surge of researchers who will submit proposals for grants enabling laboratories to further investigate the hypothesis that proper nutrition contributes to better mental health. Psychiatrists treating patients with mental disorders should be aware of available nutritional therapies, appropriate doses, and possible side effects in order to provide alternative and complementary treatments for their patients. This may reduce the number of noncompliant patients suffering from mental disorders that choose not to take their prescribed medications. As with any form of treatment, nutritional therapy should be supervised and doses should be adjusted as necessary to achieve optimal results. Thank you, Angie! Very helpful!!! Thank you everyone for your comments, and to author of the article. I have read several other articles about using Lithium orotate, one from a Practicing Psych that is using other non-precription therapies for some of his clients. He seems very experienced, sane, and knowledgeable. I am on several different psych meds, and I’m going to talk to my psych (HMO) about adding some OTC LO. She may not like it, but she doesn’t feel like I do either! She would have to willing to order the blood tests for me, but at a does of 5mg or less, I highly doubt anything would show up in my blood. But I’m going to proceed slowly and cautiously. I’m also going to look up natural waters, many of which do have more lithium in them. There are other good articles about this. Gerolsteiner (sp?) is one of the waters. But there are others. Thank you. Good luck to all, and glad the seems to helping a good amount of you! Hi Olivia, you can actually self order a ‘hair tissue mineral analysis’ which is considered more accurate than a blood test for assessing many trace minerals and heavy metal levels. Hello! I use lithium orotate for 6 months, 15 mg per day – 2 capsules after breakfast and 1 after lunch. Okay….I have been taking lithium orotate forever. Okay I was suffering badly from both anxiety and manic type depression. I took prescription drugs at first….Zoloft and an anti-seizure drug. There were massive side effects and when I weened myself off of them I had horrible zapping sensations in my brain. Finally that wore off with discontinue of use and I found about and thoroughly researched lithium orotate and decided to give it a try. I was having racing thoughts and terribly tormented before trying the lithium orotate. After 1 hour of taking only one 5mg tablet….the thoughts slowed and with continuation of use….every single symptom of mental disorder completely disappeared. I was peaceful and for the first time in ages I was able to sleep and feel calm while awake. I have never had any side effects from using lithium orotate. And in fact…lithium carbonate is really dangerous and had tons of side effects. Honestly….it’s been a god send for me and Nothing else I have ever used has helped me more. Lithium carbonate and those other drugs I was on are way more dangerous and cause organ problems and all kinds of issues. So I don’t see what the problem is. Been taking it for years. The good doctor that created the brand advanced research lithium DID test his patients blood and other things like that. He took it himself. It’s been in use now for 30 years or more. Do your research it’s there. Believe me I do my research.